The school sweatshirt is available from Skoolkit in Eastleigh or online from MyClothing uniforms, and other items of school uniform can be bought from any store. 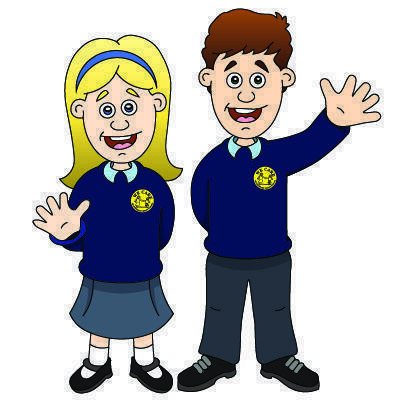 We expect parents to dress their children in the school uniform to promote the school community and sense of belonging. This includes a cardigan or sweatshirt with the school logo. Please ensure your child has a sensible hair cut for school and long hair must be tied back. Mohican/”punk” type hair styles or dramatically patterned hair cuts are strictly NOT allowed. - Plimsolls for outside games in late spring, summer and early autumn terms. A lost property box is held in reception.